Treat your loved ones to these edible Christmas goodies to make the festive season even brighter. Christmas is a time for giving. But shopping centres can be a nightmare at this time of the year, and it can be difficult to find a gift that tells your loved ones just how much they mean to you. So instead of spending a fortune on presents that end up at the back of the cupboard, why not try these delicious edible gifts. 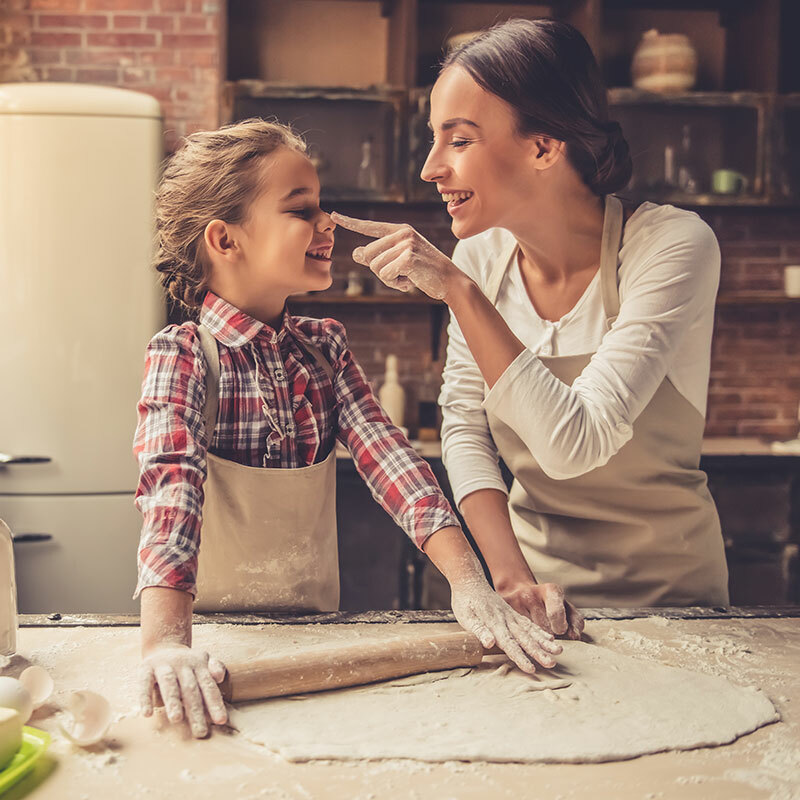 Making them is a great way to get the kids to participate in the festive season while teaching them some valuable new skills in the kitchen. Gingerbread is the ultimate festive gift for your friends with a sweet tooth. From simple Christmas trees to decadent houses, complete with candy cane windows and tim-tam doors, there are a number of ways you can decorate your gift before putting it under the tree. Try this NEFF recipe to seriously impress your friends this festive season. Do you have a friend that’s trying to take their home cooking to the next level? Then look no further than this collection of tasty olive oil infusions that will give your dishes a little bit of extra sparkle. Loaded with everything from chilli to thyme, these are sure to put a smile on your friend’s face. Take a look at the NEFF recipe here. Sometimes it’s best to opt for something a little more traditional. Coming from Scotland, but loved across the globe, these rich and buttery treats are the perfect dessert to give to your family and friends this Christmas. You can parcel them individually or pack them in a hamper for an edible Christmas gift everyone will love. Check out the NEFF recipe here. Whether it’s a picnic or a tea party, it’s always good to have a jar of home-made strawberry jam on hand when you are entertaining guests. So why not have a go at this Australian classic, perfect for scones or sponge cake treats. With just three ingredients, strawberry jam is an easy edible Christmas gift to make with the kids. We’ve got the perfect summer recipe right here. You can bring a little bit of France to your Australian celebration with these chocolate macarons made from almond meal and icing sugar. Your friends will adore the sweetness of the chocolate as it contrasts with the spicy kick of chilli ganache. If you want to put your culinary skills to the test this festive season, check out the NEFF recipe here. Australians might not have the white Christmas most of the world enjoys, but that doesn’t mean we can’t appreciate a steaming mug of hot chocolate. These pre-made hot chocolate mixes are great to have in the pantry and will be a welcome addition to any camping trip. 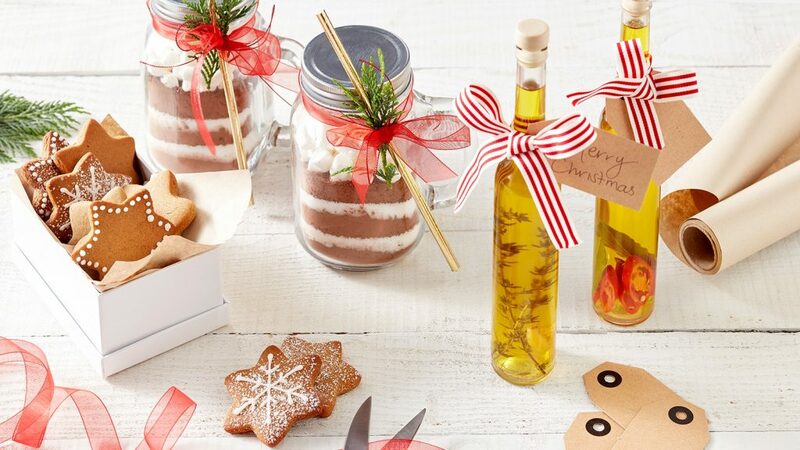 To make these fantastic gifts, start with clean lidded jars that can hold about 500ml or 16oz. In separate bowls, measure out 3/4 cup cocoa powder, 3/4 cup caster sugar and 1 cup powdered full cream milk (can also be made with non-dairy and low fat powdered milks, but full cream works the best for a deliciously creamy end result). 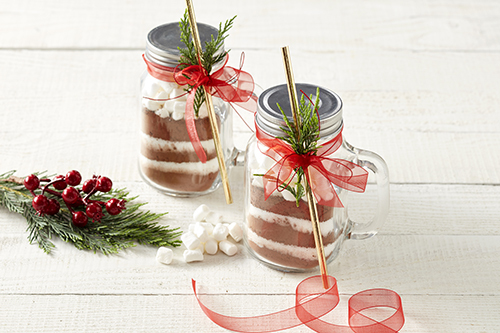 Layer the dry ingredients into your jars and top with mini marshmallows and chocolate chips. 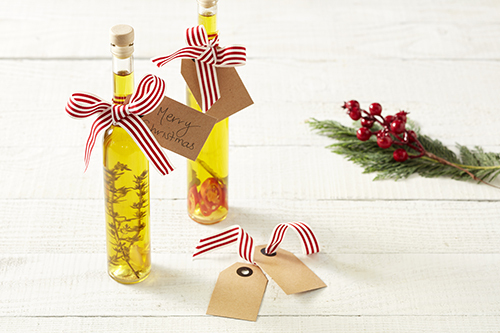 Seal your jar and tie with festive ribbon. For the instructions, simply remove the marshmallows, mix all the dry ingredients and add hot water. Stir to combine and add in your marshmallows before enjoying. A single jar should have at least two servings inside depending on your appetite. Remember, presentation is important so don’t be afraid to deck your Christmas gifts with ribbons and baubles.